Carla Cevasco is a historian of early America. She is Assistant Professor of American Studies at Rutgers University. She received her Ph.D. in American Studies at Harvard University in 2017. Her book manuscript, Violent Appetites, is a history of hunger in early American borderlands. 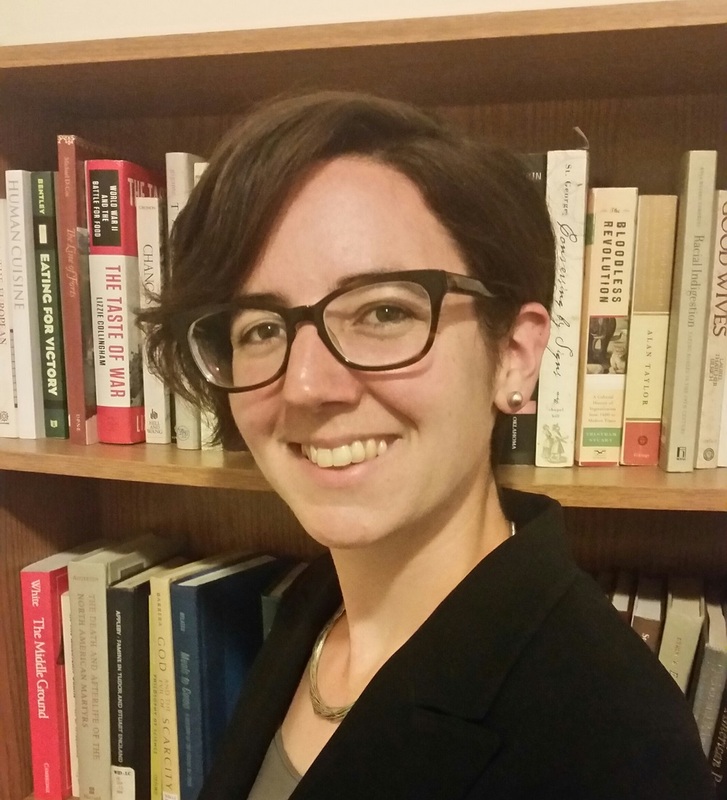 Her research and teaching interests include early America and the Atlantic world, borderlands, food studies, American Indian history, material culture, and medicine. Her articles have appeared in Early American Studies and New England Quarterly. Her public scholarship has been featured in The Junto, Common-Place, Nursing Clio, and The Recipes Project. Her scholarship has been supported by the John Carter Brown Library, the Winterthur Museum and Library, the Rutgers Center for Cultural Analysis, and the Charles Warren Center for the Study of American History at Harvard. She is a former editor of the Graduate Journal of Food Studies.